The Warner Road building is estimated to be approximately 9 months off completion. The progress of the twin street buildings signals the emergence of a flourishing new residential community, supported by an integrated and sustainable approach to the design and construction of the scheme. Camberwell Station Road is a residential development target within the heart of Southwark’s master plan re-development area. 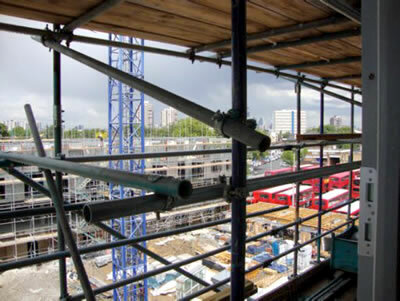 The development is situated on a site that has required extensive remediation to meet strict environmental standards. It is anticipated that the development will achieve Code for Sustainable Homes, Level 3, with the incorporation of modern methods of construction, a gas fired Combined Heat and Power plant supplemented with photovoltaic panels over green roofs.